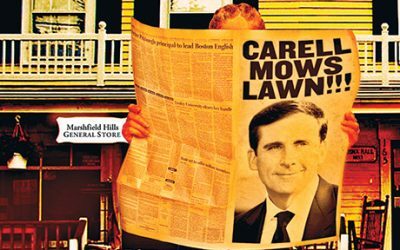 Will the Real Steve Carell Please Stand Up? For years, celebrities–like the guy from Aerosmith–have flocked to Marshfield to fade into the idyll of this South Shore hamlet. But ever since Steve Carell bought the old general store, the townsfolk have been in an uncharacteristic tizzy.